Whether we like it or not, being in a secure financial position is essential to the happiness and well-being of our families. Without money; our homes, vehicles, quality of life, and even our futures can be at risk. So, what can we do to ensure that our finances flourish when we have a family to take care of? Read on to find out. 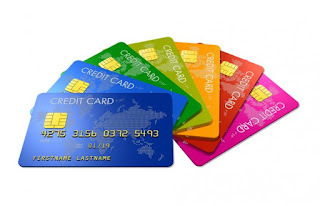 Credit cards are a useful tool in the family finance arsenal. They can provide a buffer in emergency situations, and can be a great way of buying big ticket items. As there is a greater level of comeback and insurance when purchasing something through these services. However, credit cards aren't all positive, as getting behind with the debt you owe on them can be seriously damaging to your family finances. As when you miss a payment, it affects your credit score, and your credit score is the thing that companies use to decide whether to grant you more credit or a loan. It basically indicates to them whether you are worth taking a risk on. So if you score is low, because you've had credit problems in the past this can affect anything that takes this figure into account. Including things as vital as serious as being accepted for a mortgage. repair.credit to get some help. As there you can find information on the actions, you can take to raise your score back up again. Mortgages are something that many families have to pay out for. They can often be the largest single expense per month as well. That means getting them right it's vital to ensure that your family finances flourish. So, shop around using sites like thesimpledollar.com for mortgages before you agree to one, to ensure that you have the best deal. 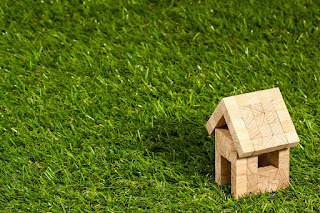 This may be in the form of a low APR, or you may prefer a fixed rate mortgage, something that is explained in detail at investopedia.com. Basically, it’s one that will allow you to know exactly what to budget for each and every month. Making keeping on top of the family finances much easier. As the post at moneyrebound.com suggests, it's always a good time to think about how your retirement plans fit into the family differences. This is because the earlier you can start to save for when you no longer work, the easier it will be to accumulate enough for a comfortable life. Many folks choose to pay into a pension scheme in preparation for their retirement, although it can seem like a large chunk of the family budget on a month to month basis. However, it is worth doing because it ensures that your future is taken care of. That means if at all possible try and avoid the temptation to stop paying into your pension to fund other things such as providing the kids with tuition fees, or capital to buy a property with. As it's all too easy for this money to be used up and never reclaimed, leaving you unable to flourish financially later on.